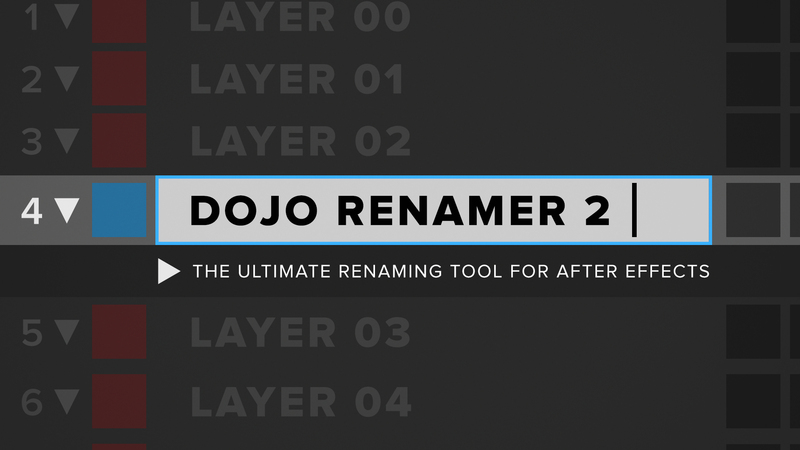 Dojo Renamer 2 is a small, but powerful renaming tool for Adobe After Effects. Quickly organize and bulk rename project items, layers, text sources, expression content, and much more with one click. Dojo Renamer 2 makes it easy to limit and make sure you’re only renaming the items you want, whether it’s specific selected items, items within the current composition, or globally project wide. With various renaming modes, Dojo Renamer 2 can handle all the renaming operations you’ll need to manage your projects, saving your time so you can work more efficiently.